For the last few months you’ve probably heard Marvel tossing around the notion that Avengers: Infinity War will be the “most ambitious crossover in history.” And okay, sure, we’ll give them that, considering that the movie is bringing together almost two dozen different Marvel characters from the last 18 films in its cinematic universe. Ambitious? You bet. But this is actually not the most ambitious, or even the first, crossover in Marvel history. And no, I’m not talking about Ant-Man meeting Falcon, or even Thor and Hulk teaming up for a buddy romp through Ragnarok. Rather, the first (and maybe best), Marvel crossover goes to the Bluth’s stair car showing up in Captain America: Civil War. In a quick blink-and-you-miss-it moment halfway through Civil War, while Team Cap is fighting Team Iron Man, off in the distance, a familiar looking vehicle prime for hop-ons can be spotted in the distance. You have directors Joe and Anthony Russo to thank for that, as the brothers helmed many of the best Arrested Development episodes during the series’ OG run. 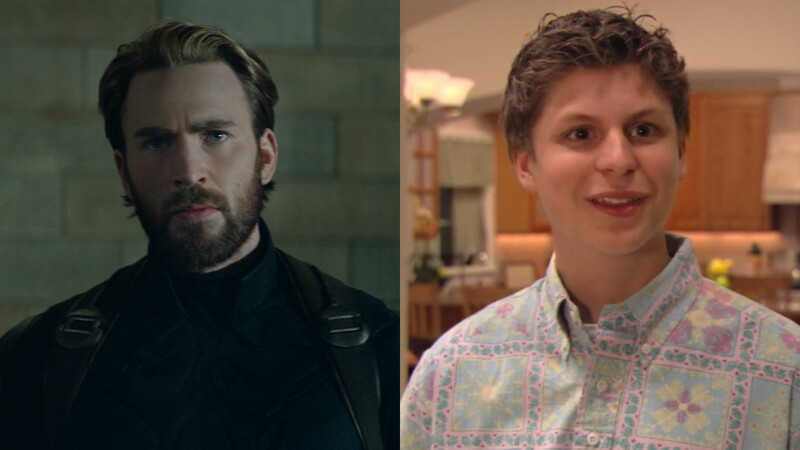 And now with the duo back for Infinity War, can we hope for more Arrested Development references in-between battling Thanos? "All we can say is that [viewers] will be rewarded with careful attention," Anthony Russo told HelloGiggles during the Infinity War press day. "I think die-hard Arrested Development fans will see it on the first viewing." But what is “it?” The Russos aren’t saying — but also, that’s not the only reference that might work its way into the movie. Another continuing thread through their Marvel films involves a former student of Greendale Community College showing up, as they also worked on NBC’s beloved Community. Danny Pudi played a S.H.I.E.L.D agent in Captain America: Winter Soldier, and Jim Rash showed up in Civil War. So which member of the #SixSeasonsAndAMovie study group is dropping into Wakanda? “Let’s just say we get a lot of pleasure out of those things as well and we have every motivation to continue them,” Anthony continues. However, it’s not Donald Glover, because he’s already part of the MCU, having appeared in Spider-Man: Homecoming — and the brothers couldn’t be happier about that. So even though you might not think Infinity War is a clear-cut situation for comedy, it’s a prime spot for television Easter eggs. Tell your friends.